Around one in four people in the UK have used some form of complementary therapy or treatment. 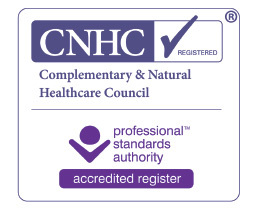 By choosing complementary health practitioners registered with the CNHC you can be confident that they are properly trained, qualified and insured. The CNHC's Code of Conduct, Ethics and Performance describes the standards of conduct, ethics and performance expected of all complementary health practitioners on the CNHC Register. All registrants must agree to comply with the Code before their name is added to the CNHC Register. CNHC's register is approved as an Accredited Register by the Professional Standards Authority for Health and Social Care, a body accountable to Parliament. This provides additional assurance that CNHC registrants meet UK-wide standards of patient safety and service quality.